← Networking Tips for PeSA Internet Conference Next Week in Gold Coast! Another awesome guest post from our partner Wiser – read on to understand more about the importance of data and how it will improve your revenue! What is the easiest way to turn data into dollars? 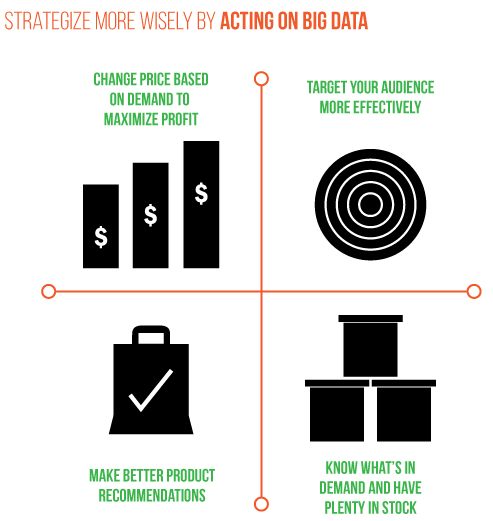 Well, the first step is to understand what big data is and what it can do for retail. You already know that big data is a big deal. While it seems like it might just be the latest buzzword, I’m here to tell you that it is much more than that. The retail industry proves its usefulness each day when it strategically places products often bought together in the same aisle or when websites make spot on recommendations after you’ve added something to your cart. Retail giants, like Amazon and Walmart, have been tremendously successful at boosting revenue, profit, and sales by using big data. Big data is the unparalleled explosion of data that has happened recently and it has unlimited benefits in store for retail. 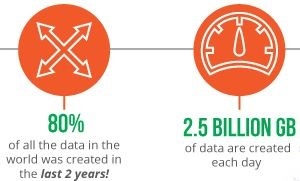 Did you know that 80% of all the data out there was created in just the last 2 years? Yeah, we’re talking about exponential growth. Many things that we do create data that is relevant to the retail industry such as researching online or posting on social media about products we love. It is closely linked to the rise of mobile devices and social media because they made it so easy to create rows on rows on rows of data without even thinking about it. This vast amount of data that has been created lately has made innovative methods of collection, storage, and analysis necessary. After all, we are creating 2.5 billion GB of data every day. Big data breaks down into two groups: structured data and unstructured data. Structured data is made up of quantifiable things, such as sales and operations figures. The newest kind of data that accounts for much of the new growth is unstructured data. It is made up of all the things you can’t necessarily count, but that definitely still matter. These are things such as photos, videos, and location data. Retailers have the unique challenge of acting on both types of data in real time, but the reward is sweet. 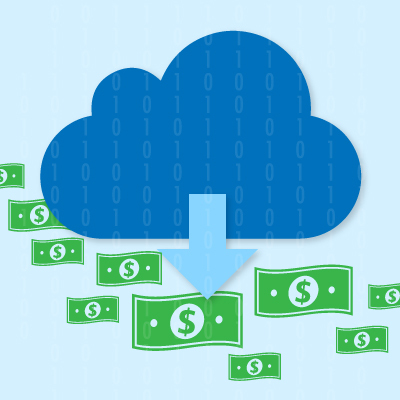 How can big data boost revenue? Retailers collect much more data than they probably realize. Sales records, those are data. Know what products your customers look at, but never buy? You’ve got it, that qualifies, too. This knowledge can help retailers make better pricing and inventory decisions. Big data is a big deal for retailers because, although the data might be in the cloud, the revenue impact they experience is very real to the bottom line. Pricing decisions are more intelligent when they are based on trends. Big data can definitely help. It’s hard to guess what pricing and pairings will create the sweet spot, so data mining is a must for any retailer that wants to find it. Walmart knows this and capitalizes on it. The retail giant creates 1 million rows of transaction records each hour when you combine in-store purchases, social data, mobile, sensors, and digital video recorders that monitor shopping habits. And what exactly does the company do with all that data? It targets customers even more effectively. When you know what your customers are likely to want, you can easily sell it to them and thank big data all the way to the bank. Walmart made waves in the retail industry when analysts went digging in to the Mount Everest sized data the company had collected. They found that diaper and beer sales often happened together. Not quite something you would have expected, but very true and a genius phenomenon to cash in on. Some Walmart stores rearranged their aisles so that beer and diapers were right next to each other and you know what happened? You guessed it, sales for beer increased significantly. Big data is no joke. A significant increase in revenue is waiting for any retailer who puts in the work to sift through the data collected during each interaction and transaction. The insights you can find will allow you to track revenue trends, peak buying times, inventory levels, and more. These metrics can help you merchandise and price your products more effectively than ever. Ignorance is not bliss when it comes to optimising in retail. Collecting the best data can seem daunting, but there are even ways to get consumers to put valuable data right into your hands. One way is by providing extra value through loyalty programs. Big data can be viewed as a reciprocal and mutually beneficial relationship between retailers and consumers. On both sides, the more you can give, the more you can get. Angelica Valentine is the Content Marketing Manager at Wiser, a dynamic pricing engine that lets retailers intelligently monitor product pricing, analyse in-depth price history analytics, compare pricing strategy to competitors, and compete wisely by re-pricing products in real-time. Wiser is a full-featured pricing and merchandising engine that monitors, analyses and re-prices retail products in real-time. Wiser enables retailers to grow profit margins, price with confidence and improve merchandising through powering the development of a sound pricing strategy. This entry was posted in OME News & Tips and tagged Australian retail, big data, dynamic pricing, ecommerce, online market experts, retail, Retail Technology, wise, wisepricer. Bookmark the permalink.